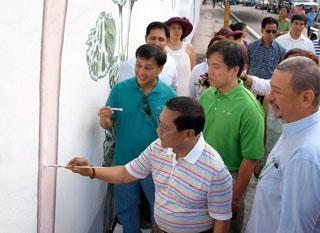 MANILA, Philippines - Look who’s painting the town “green” along Edsa. 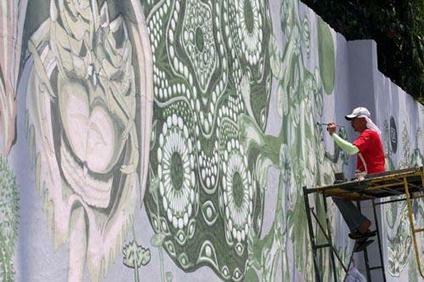 The Metropolitan Manila Development Authority (MMDA) launched “Project Edsa” yesterday where 10 professional Filipino and international artists were commissioned to create large-scale artworks using the world’s first paint that reduces air pollution. Eight target sites were chosen along the 23-kilometer stretch of the metro’s busiest thoroughfare, where each artist has a free hand to convert 1,000 square meters of public space into commissioned graffiti. According to the project curator Marian Roces of Tao Inc., the artists involved are experts in dealing with outdoor art. “Edsa is a very hard place to work with. It’s not a gallery. People throw garbage, they spit on the ground, then there’s traffic. So, we needed people who could understand what we call ‘architectonic space.’ A public space is not just a wall,” said Roces. 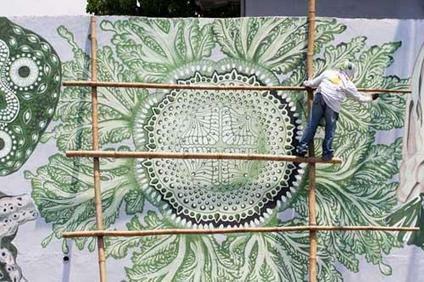 Jose Tence Cruz, a social realist painter and political cartoonist, presented the first installation of his marine-themed mural in Brgy. San Lorenzo near the Magallanes bus stop. The project is expected to finish in January 2012. Meanwhile, graphic designers Baby Imperial and Coco Anne of Studio B+C are set to paint art pieces at the interchange pillars of Edsa-Ortigas. Painter and printmaker Virgilio Aviado would design public spaces within Rockwell and Ayala Avenue. Brisbane-based artists Alfredo and Isabel Aquilizan would make canvases out of walls between GMA-Kamuning and Quezon Avenue MRT stations. Award-winning advertising agency TBWA would have free artistic rein on walls at Boni Avenue MRT station near the Guadalupe Bridge. 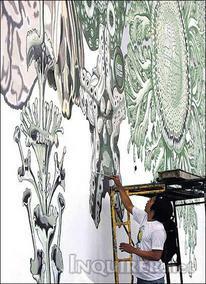 Japanese-American artist Neal Oshima would bring his artwork on the tall pylons of LRT from Monumento to Balintawak. Dutch-Indonesian artist Erika Tan would work on the posts in Baclaran, while Finnish architect Tapio Snellman would cover Cubao-Aurora’s underpass. MMDA Chair Francis Tolentino said the project is an urban renewal scheme where artworks have a fresh antipollution strategy. The whole series took on professional help, which is a far cry from the random squares and circles previously known as MMDA Art that turned into the metro’s eyesores. “This is the first public art project in the world that has an air cleaning dimension. These artists are creating beautiful air filters for everyone to appreciate,” said Johnson Ongking, vice president of BOYSEN® Paints. Ongking explains that when the special paint reacts with sunlight, it reduces nitrogen oxides and other air pollutants found in vehicular emissions. 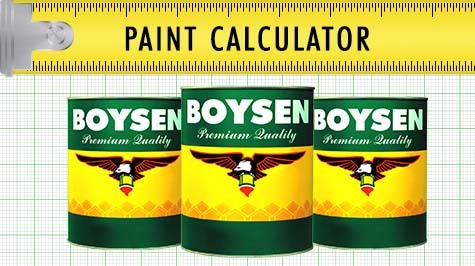 BOYSEN® Paint Inc. conducted a trial at Guadalupe MRT station last year and claimed that the paint cleans the exhausts of 30,000 vehicles daily. BOYSEN® KNOxOUT Paint was formulated by chemical engineer Catherine Ramirez. She said it took her team three years to develop the right mix of ultrafine titanium dioxide, which is the main component in the paint that chemically reacts with air to reduce pollution.